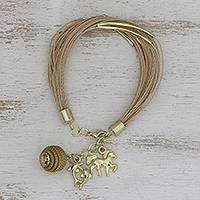 This necklace spoke to me! 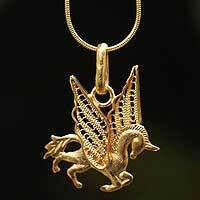 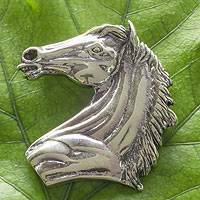 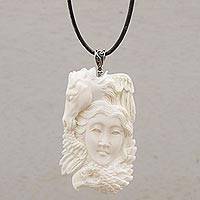 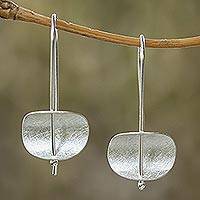 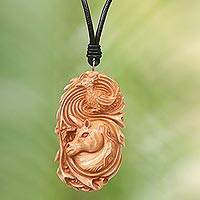 I had a little horse that looked very pretty like this pendant, but sadly she died this past Summer. 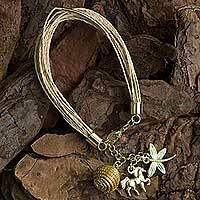 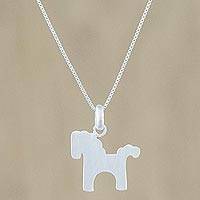 So when I wear this beautiful pendant necklace, I am reminded of my little horse. 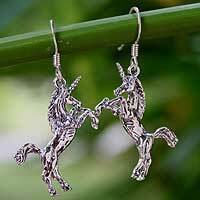 Sterling Silver Dangle Earrings from Thailand, "Dance of the Unicorns"
Artisan Crafted Unicorn Necklace in Bone on a Leather Cord, "Unicorn and Phoenix"
Artisan Crafted Sterling Silver Horse Brooch Pendant, "Proud Mare"
Palm and Gold Plated Horse and Dragonfly Charm Bracelet, "Natural World"